The Los Angeles Angels are encouraging fans to attend a 3 p.m. news conference at Angel Stadium Sunday where Mike Trout will be publicly commenting for the first time since he agreed to terms on a 12-year contract widely reported as the richest in North American professional sports. The news conference will take place in front of the Home Plate Gate before the Angels begin the three-game Freeway Series against the Los Angeles Dodgers with a 5:07 p.m. game. The contract with the 27-year-old Trout has been reported to be worth $426 million, an average of $35.5 million per season. 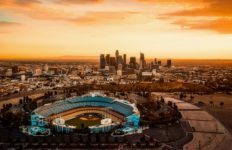 The Freeway Series marks the first time the Angels and Dodgers will be playing in California in 2019. Sunday’s game will be the first time Brad Ausmus will be managing the Angels at Angel Stadium. He was hired in October to succeed Mike Scioscia, who announced following the Angels’ final game of the 2018 season that he would step down as manager after 19 seasons, including guiding the team to its only World Series championship in 2002. The 49-year-old Ausmus managed the Detroit Tigers to a 314-332 record from 2014-17, including the 2014 American League Central Division title. He was an assistant to Angels general manager Billy Eppler in 2018. Ausmus was a catcher for four major league teams from 1993 to 2010. He spent the final two seasons of his playing career with the Dodgers. The game marks the start of the Angels’ new mobile ticket policy in which print-at-home tickets will no longer be accepted for entry into games at Angel Stadium. Fans can enter the ballpark in two ways — via the MLB Ballpark app which uses mobile devices to produce a unique barcode as the game ticket — or purchasing traditional printed tickets at the Angel Stadium box office. Tickets purchased only through verifiable sources — angels.com, 714-4ANGELS and StubHub — are able to be viewed in the app, used for entry at the gates of Angel Stadium, and be able to be transferred to accompanying fans via a function inside of the Ballpark App. More information on mobile tickets is available at angels.com/mobileticketing. The Angels and Dodgers will also meet at Angel Stadium on Monday at 7:07 p.m. The two teams will conclude the Freeway Series and spring training play Tuesday at Dodger Stadium with a 7:10 p.m. game. The Angels lead the series that began in 1962, 69-50, with five games ending in ties. The Dodgers won two of three games last season. Both teams will begin regular-season play Thursday — the Angels at Oakland and the Dodgers at Dodger Stadium against the Arizona Diamondbacks.